The Board of Directors of BZ Bank. Supervision and Control: for a Well Going Operation. The board of directors is responsible for the overall strategy and the supervision of the Bank. Werner Rieder has been active in the banking and consulting business for 30 years. 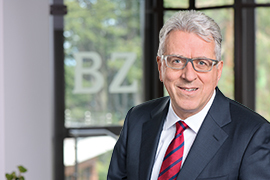 After an initial period of general banking training and various functions in the commercial banking business of the Cantonal Bank of Zurich (1980 – 1992) he moved to Ernst & Young where he was primarily responsible for mandates in the financial sector (1993 – 1996). Afterwards he organized the centre of competence for internal audit and consulting for the holding company of a regional banking group (RBA Group). Since July 1999 Werner Rieder has been an independent business consultant. He is a certified banking expert and a certified public accountant. Christoph Caviezel has been active in the real estate sector for over 30 years. After completing his law studies as a lawyer, he received his doctorate in 1988 from the University of Fribourg with a thesis on asset management in guardianship law. After several years working as a lawyer and subsequently as head of the real estate department at SBB in Lucerne, he joined the stock exchange listed Intershop Holding AG in 1995 and became a member of the management board responsible for real estate in Switzerland in 1999. He became CEO of Intershop in 2001 and a member of the Board of Directors in 2003. 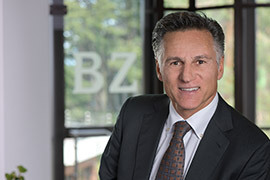 From 2008 to 2019, Christoph Caviezel was CEO of the stock exchange listed Mobimo Group, one of the largest real estate companies in Switzerland. From 2004 to 2018 he was a member of the Investment Committee of the Foundation for International Real Estate Investments, Zurich. Since 2014 he has been a member of the bank council of Graubündner Kantonalbank. Since 2018 he has been a member of the Board of Directors of Crypto Real Estate AG in Zug. Stefan Holzer has been active in the financial services business for more than 25 years. After studying economics at the University of Basel, he worked for Swiss Bank Corporation (today UBS) and during that time he finished his Ph.D. on the exchange rate forecast subject. 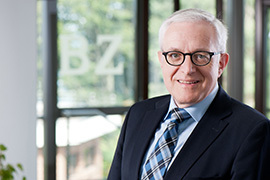 Subsequently, Stefan Holzer started to work for BZ Group where he was active in the area of research (1994-1999). From 2003 until 2012 he was at Valartis, an internationally active banking group. At first as an active Board Member and later as CEO of Valartis Bank AG and Deputy CEO of Valartis Group. Since 2018 Stefan Holzer is Member of the Board of Directors of a company, specialized in the development of software for the real estate sector.